Carlo Prato is Professor in Transport Engineering at the School of Civil Engineering of The University of Queensland. He has a PhD from the Politecnico di Torino in Italy where he approached the study of travel behaviour by focusing on route choices of car drivers. It is his natural curiosity and passion for behavioural modelling that drives his research into understanding what makes people behave the way they do as pedestrians, cyclists, public transport users, and car drivers. His research also looks at how people value congestion and reliability of transport systems, react to legislation trying to make their journeys safer, and accept and/or adapt (or not) to novel technologies and mobility solutions. Carlo contributes to the advancement of science in a cross-disciplinary environment by presenting his work in international conferences and publishing his contributions in prestigious journals as well as serving as a reviewer and editorial board member of journals spanning from engineering to psychology and medicine. 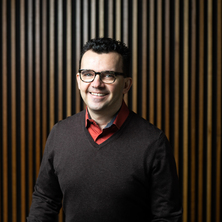 Recently, Carlo has been named Associate Editor of Transportation Research Part F: Traffic Psychology and Behaviour, the journal of the International Association of Applied Psychology. Prior to joining UQ’s School of Civil Engineering at the beginning of 2016, Carlo worked at the Technion – Israel Institute of Technology – and the Technical University of Denmark (DTU) where he became Professor in 2013. During his time at DTU, he received the 2014 Pyke Johnson Award from the Transportation Research Board of the U.S. National Academies for the best paper in planning and environment at the 93rd Annual Meeting of the Transportation Research Board: “Estimating value of congestion and value of reliability from the observation of route choice behavior of car drivers” with Thomas K. Rasmussen and Otto A. Nielsen. Most recently, Carlo was the recipient of the 2017 Partners in Research Excellence Award from The University of Queensland for his work in the partnership with the Port of Brisbane that aims at developing port growth. Awardees for the partnership were also Dr. Alistair Grinham from the School of Civil Engineering, Dr. Peggy Schrobback from the School of Economics, and Mr Rob Nave, General Manager of Infrastructure and Environment of the Port of Brisbane Pty Ltd. The project is to futureproof Brisbane’s largest multi-cargo port in terms of sustainability, transport and economy, regionally and globally. In 2016, Carlo was invited to join the UQ Self-Assessment Team for the SAGE pilot of the Athena SWAN program, which The University of Queensland is part of in order to address and improve gender equity in the science, technology, engineering, mathematics and medicine (STEMM) disciplines. He is also a member of the equity and diversity group at the Faculty of Engineering, Architecture and Information Technology (EAIT). Carlo has about 90 peer-reviewed journal papers and over 130 reviewed conference contributions and a coming book with publisher Taylor & Francis Group that will bring him back to his initial interests in traffic: “Route Choice Behaviour and Traffic Assignment Models”. Modelling freight transport and optimising intermidal infrastructure for improving the competitiveness of the port of Brisbane. Prato, Carlo Giacomo Accidents: risk factors, health outcomes and safety measures. Hauppauge, United States: Nova Science Publishers, 2012. Prato, Carlo Giacomo and Kaplan, Sigal (2013). Driving on the edge: the motivational factors of risk-taking among teen drivers. In Jean-Pascal Assailly (Ed. ), Psychology of risk-taking (pp. 115-138) New York, NY, United States: Nova Science Publishers. Prato, Carlo Giacomo and Kaplan, Sigal (2012). Promoting safe transit: analyzing bus accident patterns. In Carlo Giacomo Prato (Ed. ), Accidents: risk factors, health outcomes and safety measures (pp. 1-17) Hauppauge, NY, United States: Nova Science Publishers. Reducing teen fatalities: Do graduated licensing programs help solve the problem? Prato C.G. (2009). Reducing teen fatalities: Do graduated licensing programs help solve the problem?. In Accidents: Causes, Analysis and Prevention (pp. 1-24) : Nova Science Publishers, Inc..
How indicative is a self-reported driving behaviour profile of police registered traffic law offences? Rasmussen, Thomas Kjær, Nielsen, Otto Anker, Watling, David P. and Prato, Carlo Giacomo (2017) The restricted stochastic user equilibrium with threshold model: large-scale application and parameter testing. European Journal of Transport and Infrastructure Research, 17 1: 1-24. Rasmussen, Thomas Kjær, Anderson, Marie Karen, Nielsen, Otto Anker and Prato, Carlo Giacomo (2016) Timetable-based simulation method for choice set generation in large-scale public transport networks. European Journal of Transport and Infrastructure Research, 16 3: 467-489. The combined contribution of personality, family traits, and reckless driving intentions to young men's risky driving: what role does anger play? Manzo, Stefano, Nielsen, Otto Anker and Prato, Carlo Giacomo (2015) How uncertainty in socio-economic variables affects large-scale transport model forecasts. European Journal of Transport and Infrastructure Research, 15 3: 304-316. Halldórsdóttir, Katrin, Rieser-Schüssler, Nadine, Axhausen, Kay W., Nielsen, Otto A. and Prato, Carlo G. (2014) Efficiency of choice set generation techniques for bicycle routes. European Journal of Transport and Infrastructure Research, 14 4: 332-348. Cyclist-motorist crash patterns in Denmark: a latent class clustering approach. Modeling route choice behavior: How relevant is the composition of choice set? Prato, Carlo Giacomo, Bekhor, Shlomo and Pronello, Cristina (2005) Methodology for exploratory analysis of latent factors influencing drivers' behavior. Transportation Research Record, 1926: 115-125. Irannezhad, Elnaz, Prato, Carlo, Hickman, Mark and Mohaymany, Afshin Shariat (2017). A copula-based joint discrete-continuous model of road vehicle type and shipment size. In: Transportation Research Board, Transportation Research Board 96th Annual Meeting . Annual Meeting Transportation Research Board, Washington, DC, United States, (). 8-12 January 2017. Taghavi, Mehdi, Irannezhad, Elnaz, Schrobback, Peggy, Moghaddam, Mahboobeh, Prato, Carlo G. and Nave, Robert (2017). Strategies to increase port competitiveness. In: Australasian Transport Research Forum 2017 Proceedings. Australasian Transport Research Forum 2017, Auckland, New Zealand, (). 25-27 November 2017. Irannezhad, Elnaz, Prato, Carlo and Hickman, Mark (2017). The choice of using distribution centers in the container import chain: a hybrid model correcting for missing information. In: Proceeding of the 10th International Conference on City Logistics. International Conference on City Logistics, Phuket, Thailand, (). 14-16 June 2017. Taubman-Ben-Ari, Orit, Eherenfreund-Hager, Ahinoam and Prato, Carlo Giacomo (2016). The value of self-report measures as indicators of driving behaviors among young drivers. In: Transportation Research Board (TRB) 95th Annual Meeting. Transportation Research Board (TRB) 95th Annual Meeting, Washington, DC, United States, (). 10-14 January 2016. Kaplan, Sigal, Janstrup, Kira H. and Prato, Carlo Giacomo (2016). To report or not to report: applying the theory of planned behavior to understand the intentions to report cycling incidents by young adults. In: Transportation Research Board (TRB) 95th Annual Meeting. Transportation Research Board (TRB) 95th Annual Meeting, Washington, DC, United States, (). 10-14 January 2016. Janstrup, Kira H., Kaplan, Sigal, Hels, Tove, Lauritsen, Jens and Prato, Carlo G. (2016). Understanding traffic crash under-reporting: linking police and medical records to individual and crash characteristics. In: Transportation Research Board (TRB) 95th Annual Meeting. Transportation Research Board (TRB) 95th Annual Meeting, Washington, DC, United States, (). 10-14 January 2016. Kaplan, Sigal, Nielsen, Thomas A.S. and Prato, Carlo Giacomo (2016). Youth walking and cycling: the relationship between active travel and urban form. In: Transportation Research Board (TRB) 95th Annual Meeting. Transportation Research Board (TRB) 95th Annual Meeting, Washington, DC, United States, (). 10-14 January 2016. Kaplan, Sigal and Prato, Carlo G. (2015). A spatial analysis of land use and network effects on frequency and severity of cyclist-motorist crashes in the Copenhagen region. In: Transportation Research Board (TRB) 94th Annual Meeting. Transportation Research Board (TRB) Annual Meeting, Washington, DC, United States, (). 11-15 January 2015. Kaplan, Sigal, Manca, Francesco, Nielsen, Thomas A.S. and Prato, Carlo G. (2015). Applying the Theory of Planned Behavior to understand the intentions to use bike-sharing for holiday cycling. In: Transportation Research Board (TRB) 94th Annual Meeting. Transportation Research Board (TRB) Annual Meeting, Washington, DC, United States, (). 11-15 January 2015. Vacca, Alessandro, Prato, Carlo G. and Meloni, Italo (2015). Correcting for unequal sampling probability when estimating route choice models from stochastic generated choice sets on large-scale networks. In: Transportation Research Board (TRB) 94th Annual Meeting. Transportation Research Board (TRB) Annual Meeting, Washington, DC, United States, (). 11-15 January 2015. Parbo, Jens, Nielsen, Otto A. and Prato, Carlo G. (2015). Improving a passenger-oriented line planning algorithm for a railway network. In: Conference on Advanced Systems in Public Transport 2015, Rotterdam, The Netherlands, (). 19-23 July 2015. Prato, Carlo G., Kaplan, Sigal, Rasmussen, Thomas K. and Hels, Tove (2015). Infrastructure and spatial effects on the frequency of cyclist-motorist collisions in the Copenhagen region. In: Transportation Research Board (TRB) 94th Annual Meeting. Transportation Research Board (TRB) Annual Meeting, Washington, DC, United States, (). 11-15 January 2015.
van Cranenburgh, Sander and Prato, Carlo G. (2015). Omitted attributes in RRM models. In: 4th Symposium of the European Association for Research in Transportation, Lyngby, Denmark, (). 9-11 September, 2015. Taubman - Ben-Ari, Orit, Kaplan, Sigal, Lotan, Tsippy and Prato, Carlo G. (2015). Parents’ and peers’ contribution to risky driving of male teen drivers. In: Transportation Research Board (TRB) 94th Annual Meeting. Transportation Research Board (TRB) Annual Meeting, Washington, DC, United States, (). 11-15 January 2015. Rasmussen, Thomas K., Watling, David P., Nielsen, Otto A. and Prato, Carlo G. (2015). Restricted Stochastic User equilibrium with Threshold (RSUET) - Model formulation, solution methods and large-scale test. In: 4th Symposium of the European Association for Research in Transportation, Lyngby, Denmark, (). 9-11 September, 2015. Vacca, Alessandro, Prato, Carlo G. and Meloni, Italo (2015). Should I stay or should I go? Investigating route choice switching behavior from revealed preferences data. In: 14th International Conference on Travel Behaviour Research, Windsor, United Kingdom, (). 19-23 July 2015. Fetene, Gebeyehu M., Kaplan, Sigal, Sebald, Alexander C. and Prato, Carlo G. (2015). Smart-grid charging of electric vehicles: EV-owner response to scheduling and pricing under myopic loss aversion in an ultimatum two-player game. In: Transportation Research Board (TRB) 94th Annual Meeting. Transportation Research Board (TRB) Annual Meeting, Washington, DC, United States, (). 11-15 January 2015. Watling, David P., Rasmussen, Thomas K., Nielsen, Otto A. and Prato, Carlo G. (2015). Stochastic User Equilibrium with equilibrated choice sets. In: 4th Symposium of the European Association for Research in Transportation, Lyngby, Denmark, (). 9-11 September 2015. Dyrberg, Mette B., Christensen, Charlotte B., Anderson, Marie K., Nielsen, Otto A. and Prato, Carlo G. (2015). Transfer attributes in route choice models for public transport passengers. In: 4th Symposium of the European Association for Research in Transportation, Lyngby, Denmark, (). 9-11 September, 2015. Kaplan, Sigal and Prato, Carlo Giacomo (2014). A joint model of crash avoidance maneuvers and crash severity. In: Transportation Research Board (TRB) 93rd Annual Meeting. Transportation Research Board (TRB) 93rd Annual Meeting, Washington, DC, United States, (). 12-16 January 2014. Chataway, Elijah Steven, Kaplan, Sigal, Nielsen, Thomas Alexander Sick and Prato, Carlo Giacomo (2014). Comparing safety perceptions between emerging and established cycling cities. In: Transportation Research Board (TRB) 93rd Annual Meeting. Transportation Research Board (TRB) 93rd Annual Meeting, Washington, DC, United States, (). 12-16 January 2014. Prato, Carlo Giacomo, Rasmussen, Thomas K. and Nielsen, Otto A. (2014). Estimating value of congestion and value of reliability from the observation of car drivers’ route choice behavior. In: Transportation Research Board (TRB) 93rd Annual Meeting. Transportation Research Board (TRB) 93rd Annual Meeting, Washington, DC, United States, (). 12-16 January 2014. Weiss, Harold B., Kaplan, Sigal and Prato, Carlo Giacomo (2014). Fatal and serious road crashes involving young drivers in New Zealand: a latent class clustering approach. In: Transportation Research Board (TRB) 93rd Annual Meeting. Transportation Research Board (TRB) 93rd Annual Meeting, Washington, DC, United States, (). 12-16 January 2014. Weiss, Harold B., Kaplan, Sigal and Prato, Carlo Giacomo (2014). Risk factors associated with injury severity in crashes involving young New Zealand drivers. In: Transportation Research Board (TRB) 93rd Annual Meeting. Transportation Research Board (TRB) 93rd Annual Meeting, Washington, DC, United States, (). 12-16 January 2014. Anderson, Marie K., Nielsen, Otto A. and Prato, Carlo G. (2014). The importance of choice set generation and selection for public transport route choice model estimation and parameter stability. In: 3rd Symposium of the European Association for Research in Transportation, Leeds, United Kingdom, (). 4-6 September 2014. Popoks, Dmitrijs, Kaplan, Sigal, Prato, Carlo Giacomo and Ceder, Avishai (Avi) (2014). Using connectivity for measuring equity in transit provision. In: Transportation Research Board (TRB) 93rd Annual Meeting. Transportation Research Board (TRB) 93rd Annual Meeting, Washington, DC, United States, (). 12-16 January 2014. Prato, Carlo Giacomo, Rasmussen, Thomas Kjær, Nielsen, Otto Anker and Watling, David (2013). A disaggregate pseudo-dynamic assignment for the activity-based model of the Greater Copenhagen Area. In: WCTR 2013: 13th World Conference on Transportation Research. WCTR 2013: 13th World Conference on Transportation Research, Rio de Janeiro, Brazil, (). 15-18 July 2013. Rich, Jeppe, Prato, Carlo Giacomo, Hels, Tove, Lyckegaard, Allan and Kristensen, Niels Buus (2013). Analyzing the relationship between car generation and severity of motor-vehicle crashes in Denmark. In: Transportation Research Board (TRB) 92nd Annual Meeting. Transportation Research Board (TRB) 92nd Annual Meeting, Washington, DC, United States, (). 13-17 January 2013. Halldorsdottir, Katrin, Nielsen, Otto A. and Prato, Carlo G. (2013). Bicycle route choice model for the Greater Copenhagen Area, Denmark - Based on GPS observations. In: 2nd Symposium of the European Association for Research in Transportation, Stockholm, Sweden, (). 4-6 September 2013. Prato, Carlo Giacomo and Kaplan, Sigal (2013). Bus accident severity and passenger injury: evidence from Denmark. In: Transportation Research Board (TRB) 92nd Annual Meeting. Transportation Research Board (TRB) 92nd Annual Meeting, Washington, DC, United States, (). 13-17 January 2013. Prato, Carlo Giacomo and Kaplan, Sigal (2013). Bus crash patterns in the United States: a clustering approach based on self-organizing maps. In: WCTR 2013: 13th World Conference on Transportation Research. WCTR 2013: 13th World Conference on Transportation Research, Rio de Janeiro, Brazil, (). 15-18 July 2013. Kaplan, Sigal, Vavatsoulas, Konstantinos and Prato, Carlo G. (2013). Cyclist injury severity in a cycling nation: evidence from Denmark. In: Transportation Research Board (TRB) 92nd Annual Meeting. Transportation Research Board (TRB) 92nd Annual Meeting, Washington, DC, United States, (). 13-17 January 2013. Anderson, Marie K., Nielsen, Otto A. and Prato, Carlo G. (2013). Multimodal route choice models of public transport passengers in the Greater Copenhagen Area. In: 2nd Symposium of the European Association for Research in Transportation, Stockholm, Sweden, (). 4-6 September 2013. Prato, Carlo Giacomo, Rasmussen, Thomas K. and Kaplan, Sigal (2013). Risk factors associated with crash severity on low-volume rural roads in Denmark. In: Transportation Research Board (TRB) 92nd Annual Meeting. Transportation Research Board (TRB) 92nd Annual Meeting, Washington, DC, United States, (). 13-17 January 2013. Vavatsoulas, Konstantinos, Kaplan, Sigal and Prato, Carlo G. (2013). The risk factors associated with bicycle crash severity: evidence from Denmark. In: WCTR 2013: 13th World Conference on Transportation Research. WCTR 2013: 13th World Conference on Transportation Research, Rio de Janeiro, Brazil, (). 15-18 July 2013. Value of time variation and socioeconomic attributes in car route choice models. Prameswari, Niken, Nielsen, Otto A. and Prato, Carlo G. (2013). Value of time variation and socioeconomic attributes in car route choice models.. In: 2nd Symposium of the European Association for Research in Transportation, Stockholm, Sweden, (). 4-6 September 2013. Kaplan, Sigal and Prato, Carlo G. (2013). “Them or Us”: perceptions, cognitions, emotions and overt behavior associated with cyclists and motorists sharing the road. In: Transportation Research Board (TRB) 92nd Annual Meeting. Transportation Research Board (TRB) 92nd Annual Meeting, Washington, DC, United States, (). 13-17 January 2013. Kaplan, Sigal and Prato, Carlo Giacomo (2012). Associating crash avoidance maneuvers with driver attributes and accident characteristics: a mixed logit model approach. In: Transportation Research Board (TRB) 91st Annual Meeting. Transportation Research Board (TRB) 91st Annual Meeting, Washington, DC, United States, (). 22-26 January 2012. Prato, Carlo G. (2012). Judgments in the selection of path generation techniques: a meta-analytic approach. In: Transportation Research Board (TRB) 91st Annual Meeting. Transportation Research Board (TRB) 91st Annual Meeting, Washington, DC, United States, (). 22-26 January 2012. Halldorsdottir, Katrin, Christensen, Linda, Jensen, Thomas Christian and Prato, Carlo Giacomo (2011). Modelling mode choice in short trips: shifting from car to bicycle. In: Proceedings of the European Transport Conference 2011. European Transport Conference 2011, Glasgow, Scotland, (). 10-12 October 2011. Rich, Jeppe, Prato, Carlo Giacomo and Daly, Andrew (2010). Activity-based demand modelling on a large scale: experience from the new Danish National Model. In: European Transport Conference 2010. European Transport Conference 2010, Glasgow, Scotland, (). 11-13 October 2010. Prato, Carlo Giacomo, Bekhor, Shlomo, Galtzur, Ayelet, Mahalel, David and Prashker, Joseph N. (2010). Exploring the potential of data mining techniques for the analysis of accident patterns. In: Proceedings of the 12th WCTR Conference. WCTR 2010: 12th World Conference on Transportation Research, Lisbon, Portugal, (). 11-15 July 2010. Larsen, Marie K., Nielsen, Otto A., Prato, Carlo G. and Rasmussen, Thomas K. (2010). Generation and quality assessment of route choice sets in public transport networks by means of RP data analysis. In: Proceedings of the European Transport Conference 2010. European Transport Conference, Glasgow, Scotland, (). 11-13 October 2010. Kaplan, Sigal and Prato, Carlo Giacomo (2010). Joint modeling of constrained path enumeration and path choice behavior: a semi-compensatory approach. In: Proceedings of the European Transport Conference. European Transport Conference 2010, Glasgow, Scotland, (). 11-13 October, 2010. Prato, Carlo G., Gitelman, Victoria and Bekhor, Shlomo (2010). Mapping patterns and characteristics of fatal road accidents in Israel. In: WCTR 2010: 12th World Conference on Transportation Research. WCTR 2010: 12th World Conference on Transportation Research, Lisbon, Portugal, (). 11-15 July 2010. Bovy, Piet H. L., Bekhor, Shlomo and Prato, Carlo Giacomo (2009). Route sampling correction for stochastic route choice set generation. In: Transportation Research Board (TRB) 88th Annual Meeting. Transportation Research Board (TRB) 88th Annual Meeting, Washington, DC, United States, (). 11-15 January 2009.